Google Chrome is one of the most used browsers because of its, reliability, ease of use, and most of all its extension base. Though Google Chrome is pretty good, one thing that bothers most users is the amount of disk space it takes to cache web items. On my computer, Chrome's cache is taking more than 6GB of disk space. If you have a bigger hard disk, sparing a few GBs for caching is no problem. After all, caching improves web page speed. 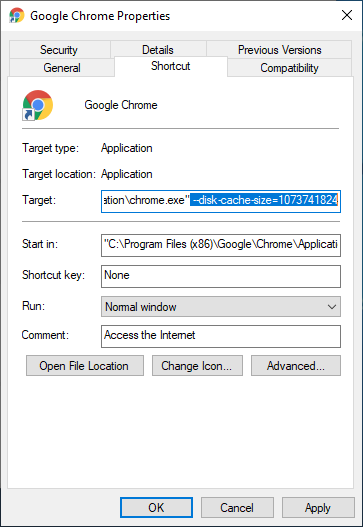 However, if your hard disk is smaller or you think Chrome is using too much space for caching then you can change cache size for Chrome in Windows 10 and free disk space. In case you wonder, you can see how much Chrome is caching. For that type "chrome://net-internals/#httpCache" in the address bar and press Enter. You can see the amount of space used by Chrome for caching next to "Current size". The size is in bytes. In my case, that is around 370MB. 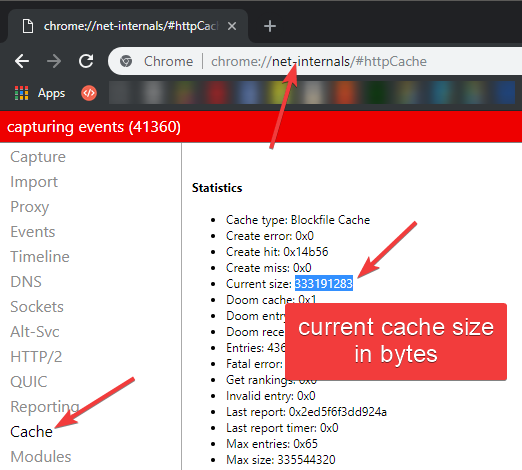 Though Chrome doesn't provide any options within the Settings page to change cache size, it is rather easy to limit chrome cache size in Windows. All you have to do is add a flag to the Google Chrome shortcut. Once you add it, Chrome will limit cache size according to your setting. Here's how you can add the required flag to the Chrome shortcut. The below method works in Google Chrome for Windows 7 and 8 too. 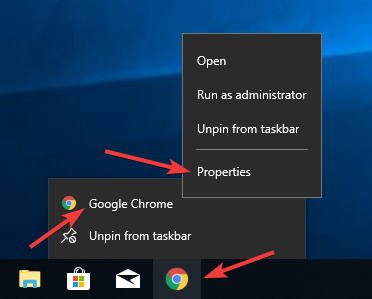 Right-click on the Chrome icon in the taskbar. Again, right-click on the "Google Chrome" and select "Properties". 1073741824 in step 4 is 1 GB in bytes. If you want to, you can replace it with any amount of space. For instance, to restrict Google Chrome to just 300MB, replace 1073741824 with 314572800. You can use this website for quick byte conversions. That all there is to do. You've successfully changed Google Chrome cache size in Windows 10. When you want to remove the cache limit on Chrome, just remove the disk-cache-size flag in the target field and you are good to go. This doesn’t work. It gives an error. I tried it just now and it worked just fine. Please verify if you are adding the flag as shown in the post image.